After viewing the information below it is difficult to understand why a California voter would buy a used car from Feinstein let alone cast a vote for her. California voters have yet to recover from the sucker punch they voted upon themselves by electing Barbara Boxer to the Senate in 2010. Now they have an opportunity to remove the “Too Long-Too Wrong Senator, Dianne Feinstein. It’s the tax policies of Feinstein and Boxer that have led California to 11.00% unemployment. The number of people unemployed in California peaked in September 2010 at 2,272,943. There are now 241,565 fewer people unemployed in the state. From a recent trough of 2,012,350 in February 2012, the number of unemployed has now grown by 19,028. California job growth data is also available. CA is number one in the nation in income and sales taxes. Look for that to change. 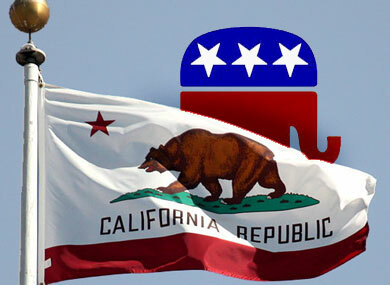 The year 2012 is going to be the real ‘hope and change’ election for California. It all starts with the primary on June 5th. This year starting with the June 5, 2012 primary in CA the voters have something to be excited about in Elizabeth Emken a woman who has outstanding credential, and unlike the 78 year-old Feinstein, has worked in the private sector and has run a major charity for autism. Please help California bring a fresh look, new jobs, and lower taxes to “The Great State, by visiting here. The organizations themselves did not donate, rather the money came from the organizations’ PACs, their individual members or employees or owners, and those individuals’ immediate families. Organization totals include subsidiaries and affiliates.